Café Society brings the public and the art community together to explore topics related to art, music, architecture, film, design, and the visual and performing arts. These ongoing conversations strengthen ties and build creative bridges between artists and the local community. Café Society gatherings, as well as all exhibitions, are always free and open to the public. Art Forums, a lecture and discussion series, are open to everyone and held throughout the year to explore topics related to art, architecture and design. 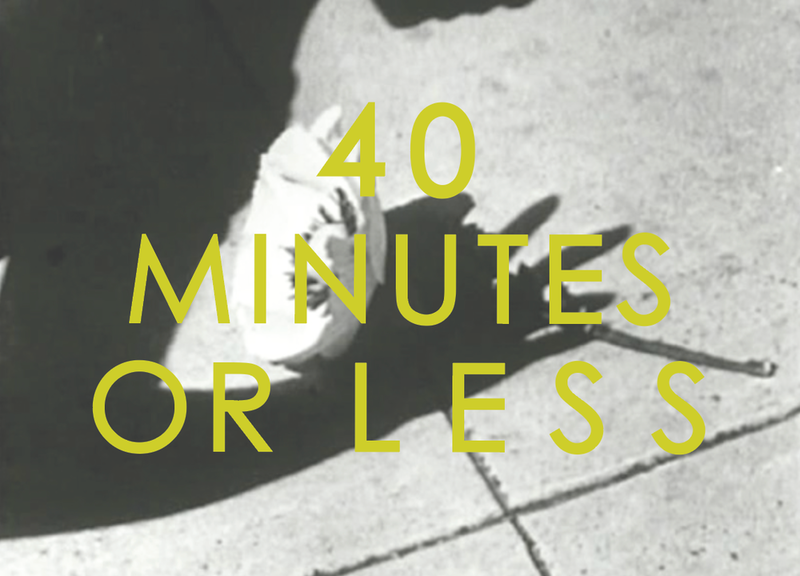 In partnership with the OKC Film Society, 40 Minutes or Less presents independent, arthouse, and avant-garde short films. This program brings filmmakers, industry professionals, and the public together to engage in an ongoing dialogue about visual culture and the moving image. Discover & discuss short films with us every other month. Community Spirit meets the second Thursday of every month, providing an after-work locale for people to meet their neighbors and discuss events & ideas in an artistic environment. The Collector's Circle is an educational opportunity for those wanting to expand their knowledge in the value and practice of collecting art. Join us for multiple evenings where we bring in artists, studio representatives and works of art from across the country. Collector's Circle members will be given the unique opportunity to learn from experts about the artistic process and value of the works in front of them. participants will receive two prints a year from ARTSPACE's Artist in Residence editions and admittance to exhibition previews, wine tastings and forums etc.